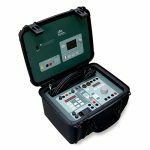 The TRES is a comprehensive, portable three-phase test system capable of testing all types of electromechanical and digital protective relays. With high power outputs packaged in an extremely compact and rugged system, the TRES has a tremendous power-to-weight ratio. The design incorporates the latest in modern digital microprocessor technology to achieve unbeatable output characteristics in terms of power, accuracy, low distortion, and dynamic capability. This hi-tech solution enables the testing of many different functions required in relay testing without the need of additional accessories. 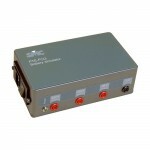 The system comprises 2 independent units, each with three independent output channels. Each output channel is reversible from Voltage to Current (in the Voltage unit) or from Current to Voltage (in the Current unit). Each output is controlled for Amplitude and Phase Angle and can be ‘linked’ into a Master-Slave coordinated sequence, with simulated ramp and dynamic changes. All output signals are digitally generated, amplified, and internally controlled by the IGM’s (Intelligent Generator Modules) which interpret the commands received from the front panel to produce a highly accurate and stable output with low distortion that is independent of the voltage supply. 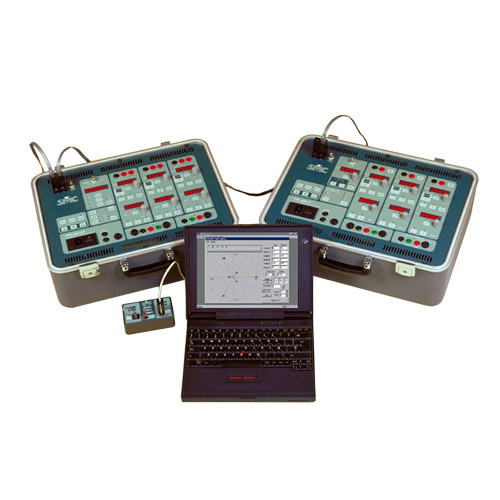 The system also allows optional connection to a computer for either automatic testing of relays or control of the equipment using Windows compatible software. 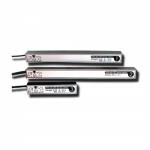 Even the adjustment and calibration of the equipment is made easy through the Closed Case Calibration software, supplied with the units, which enables calibration and/or adjustments of the outputs without any need for hardware intervention. The TRES offers a complete system with all the features and functions required for protective relay testing in both manual and automatic modes of operation and suitable for laboratory and on-site testing. Complete Three phase system supplied in 2 units (PTE-300-V/PTE-50-CET). Reversible Outputs (Up to 6 current and 6 Voltage Outputs). Three phase current output 3 x 50A or 3 x 150V. Three phase voltage output 3 x 300V or 3 x 8A. Variable phase angle from 0°-360°, independent in each output channel. Variable frequency between 40 to 420 Hz. Programmable frequency ramp, with selectable ramp speed between 0.01 Hz/s. to 10 Hz/s. 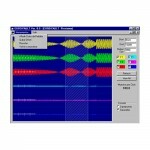 Instantaneous Frequency Step from one value to another. Harmonic Selection, independent in each current phase to the 7th harmonic. Output power is 100 VA in each channel. Manual Control of all outputs and phase angles, independent in each channel or linked when making two phase or three phase tests. 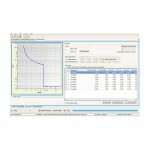 Fault Simulation can be programmed and achieved manually on the front panel controls. Capability to perform dynamic and transient tests with a bandwidth of 0.5 to 5000 Hz. Completely programmable from a computer. Built-in timer with reading in seconds or cycles. External phase and frequency reference. To test all types of three and single phase protection relays. Three and single phase fault simulation. Automatic relay testing and reporting using optional software.